NHS Highland are putting quality first to deliver better health, better care and better value. 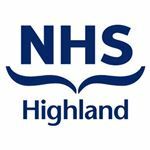 NHS Highland is a forward looking organisation and often leads the way by introducing new models and new methods of delivering care; becoming the first health board in the country to integrate health and social care in 2012. Since then our Highland Quality Approach (HQA) has redefined our purpose and values that are fundamental to our approach to healthcare in the Highlands. With our strong focus on research, development and innovation, we are always striving to improve by looking for 'best in class' across the world. We are looking for people who want to be part of our team in a wide range of posts both in-patient and community services in hospitals in Portree, Broadford and in the community in a range of other locations in the Skye and Lochalsh area.